Sustainable Urban Planning introduces the principles and practices behind urban and regional planning in the context of environmental sustainability. 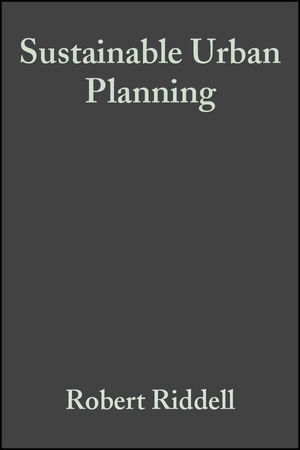 This timely text introduces the principles and practice behind urban and regional planning in the context of environmental sustainability. Reflects a growing recognition that cities, where the majority of humans now live, need to be developed in a sustainable way. Weaves together the concerns of planning, capitalism, development, and cultural and environmental preservation. Helps students and planners to marry the needs of the environment with the need for financial gain. Robert Riddell is Professor Emeritus at Auckland University, New Zealand. With sustainable and ethical intent. 3. Charter for Conservation with Development:. Resource exploitation and discard dynamics. The new culture: balanced harmony. 4. Growth of Pattern Management:. Urban reforms: options and actions.